Looks like Barack Obama is going to have to learn to live with disappointment. He has prepared for his presidential library for years. It’s part of his legacy. When Obama was elected, Chicago treated him literally as if he was the second coming of Christ. He was their favorite son. Nine years later, not so much. They are beginning to see the real Barack Obama at long last and I don’t think they like him much. The citizens of Chicago are balking at the plans for Obama’s library. In its initial bid for the right to host the library, put forth on behalf of the city, the University of Chicago offered large tracts of idyllic land in Washington Park and Jackson Park as two potential sites. Chicagoans were perplexed… their dear leader of the people could build his temple in a more appropriate location. “Why not build it in one of the many blighted areas?” they asked. “Why are you taking a huge chunk of our parks?” That’s when Barack Obama told the city of Chicago that either it would be built in a Chicago park, or he would have his monument built in New York or Honolulu. After Obama selected Chicago and the Jackson Park site, protests began to grow. Residents of Woodlawn, the park’s district, addressed their local government and wrote op-eds in the city’s papers to let Obama know they were upset. They feared the project would rapidly gentrify the minority-majority area. It could force out people who have lived there forever. And it would likely ruin the park as a community gathering place. 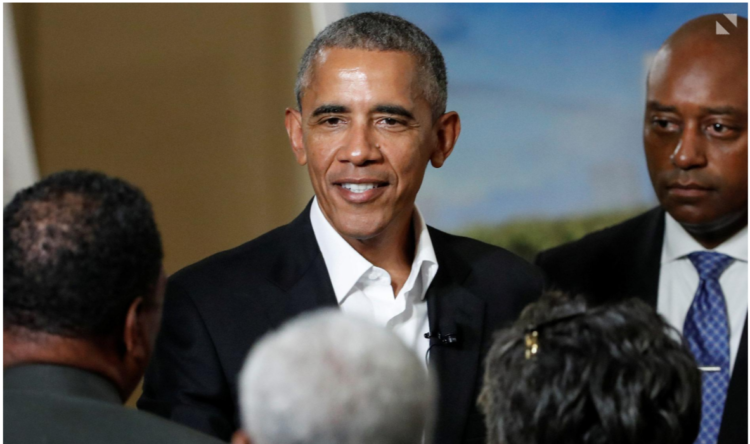 In May of this year, protesters began a campaign to implore the Obama Foundation, the group overseeing the library’s construction, to sign a community benefit agreement (CBA), which would commit the Foundation to setting aside jobs for residents around the library, protecting low-income housing, supporting black-owned businesses and strengthening neighborhood schools. I know you will be shocked, but the Foundation flat out refused. When a resident personally asked Obama to sign the agreement at a September public meeting about the library, Obama refused as well. A man of the people no more. It isn’t just that the park would no longer be a place for the residents… it goes further than that here. Obama’s Foundation has steamrolled these people at every stage of the process. Showing just how little he cares what they think. The whole thing is ironic on its face. His library is supposed to inspire visitors and locals “to make a positive change in their communities,” yet the project has already begun to alienate the very community it’s meant to change. Hint… he’s a Marxist, that’s what they do in the end. The center, according to Obama himself, is a “gift to the community” that will spread his message. A ‘gift’ they are paying for with their taxes. The Foundation explains the ‘gift’ on its website by pointing out that the center itself will be a living testament to the values of Obama’s presidency. 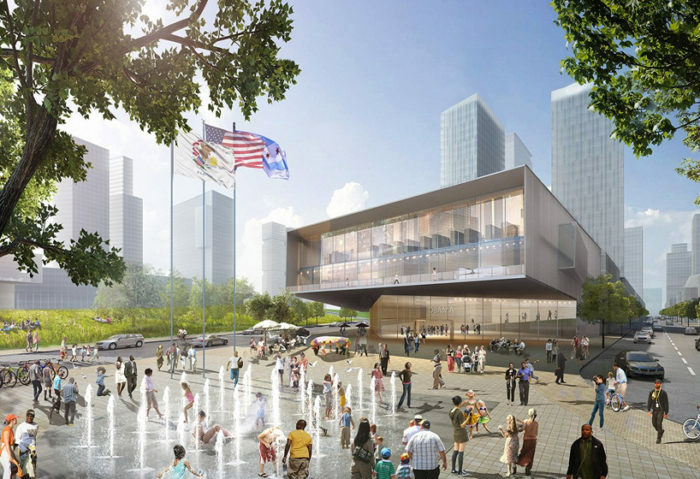 It boasts that the center’s design takes into account the expressed views of “Chicagoans like you,” and that the Foundation will “continue to ask for and incorporate your feedback every step of the way.” Yeah, just like they did when they put it where Chicagoans didn’t want it to go. That’s progressivism for you. When the center is finished, it will include a community garden, a “test kitchen” and a recording studio where visitors will be able to “create their own songs, speeches, short films, and interviews,” according to the Foundation’s website. I wonder if they will charge you to go there? The residents have said countless times they don’t want the center. They want their park, their low-cost housing and their culture. They want Barack Obama to actually listen to them the way he claims to. This is change they can’t believe in just as we all predicted. Sad.